A balmy Summer night in Verona. Two teenagers are transfixed by one another across a dance floor. Flirtatiously they share a love poem. In a world of high passion where violence erupts on the street and the bonds of family allegiance must be broken in order to pursue forbidden love, two young lovers rail against an older generation and the prejudice of their society. Their love turns to tragedy as their fate plays out. Was it written in the stars all along? 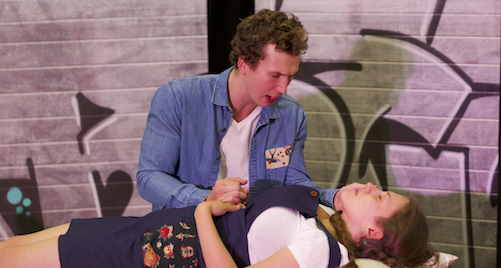 Romeo and Juliet is an ideal introduction for teenagers to the plays of William Shakespeare. This tragic story is told with humour and pathos and delights as much as it saddens. Complete Works’ Romeo and Juliet is an abridged version where three actors perform key scenes and play multiple roles. All performances are followed by a Q&A with the actors. 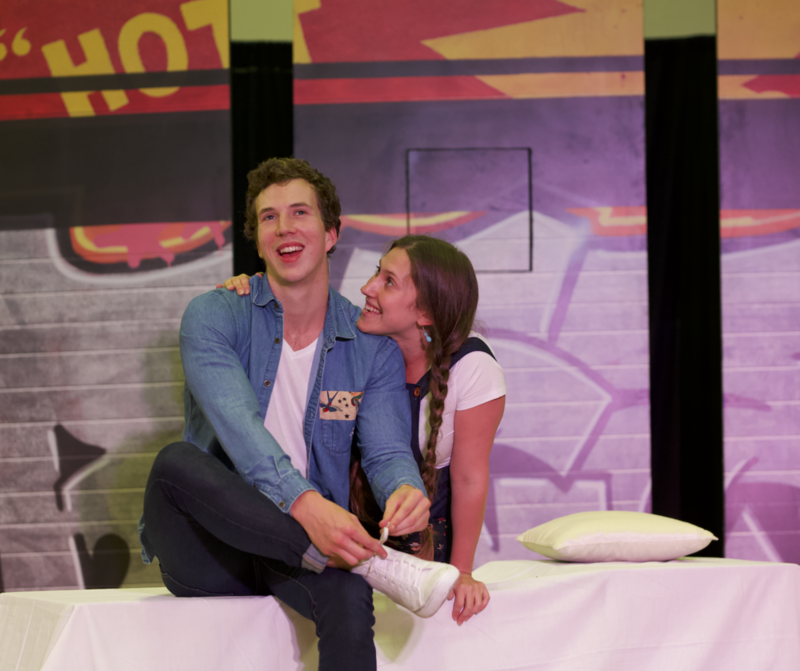 The post-show analysis session will help students focus on the major characters and explore the themes of love, hate, prejudice, the part played by circumstance and fortune and the generational conflict between teenagers and their parents. Four students are required to perform onstage and contribute to the action at the very start of the play, the street brawl scene between the rival family gang members. The students are an essential part of the performance; the show will not be able to commence until the students have been properly briefed, so please select your students prior to our arrival and please make sure they are available for a full 20 minute rehearsal with the actors. Ideally, the students should be confident readers. But most importantly, they need to be willing and eager to join in on stage in front of their classmates. When do the students meet with the actors? Please make sure the students are able to meet with the actors 20 minutes prior to the start of the performance. When will they get their scripts? Students will be given individual scripts and some simple stage directions on the day of the performance. Please download print off the scene below and give it to the student volunteers so they have a chance to read over and be familiar with their parts prior to our arrival. The Complete Works actors will guide the students through the scene during the pre-show rehearsal. Immediately after the performance, students have the opportunity to ask the actors questions. Two formats are offered for the post show session and are reliant on time. If the time post show is restricted to less than 10 minutes, we recommend a standard Question and Answer. If we have an allocated time of up to 30 minutes, we recommend the Character Hot Seat.